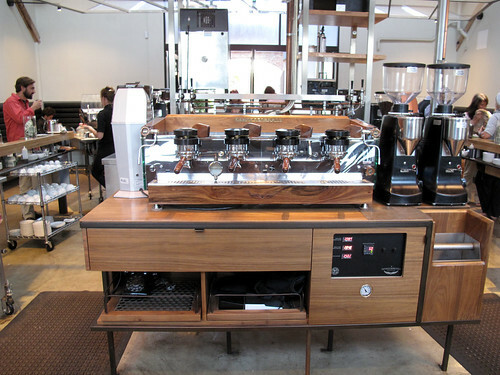 On my recent trip to Los Angeles I finally had a chance to visit Intelligentsia Venice Coffeebar, a beautiful new Intelligentsia Coffee & Tea location. 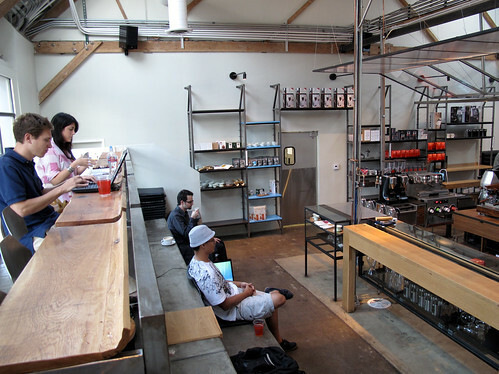 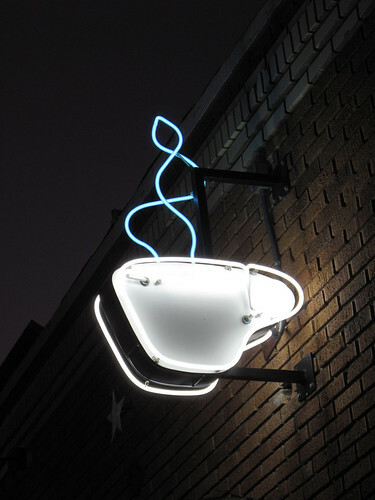 The place is a temple of coffee worship with every detail carefully thought out, from the design and seating, to the personalized attention each customer receives from the baristas. 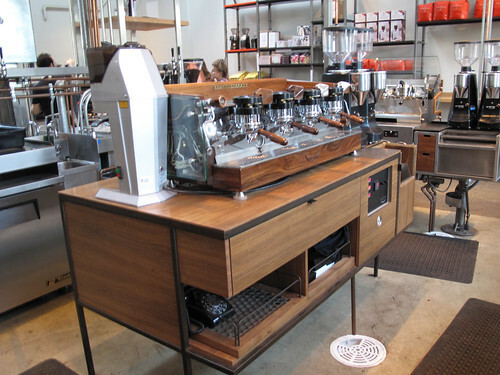 Intelligentsia’s newest Los Angeles coffeebar is another re-imagining of what a coffee experience can be. 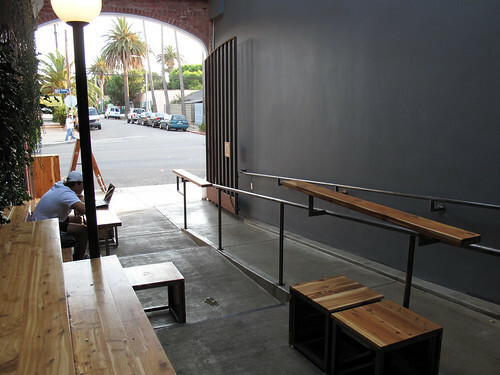 Located in Venice on Abbot Kinney Boulevard, guests are not met with the standard experience of waiting in line. 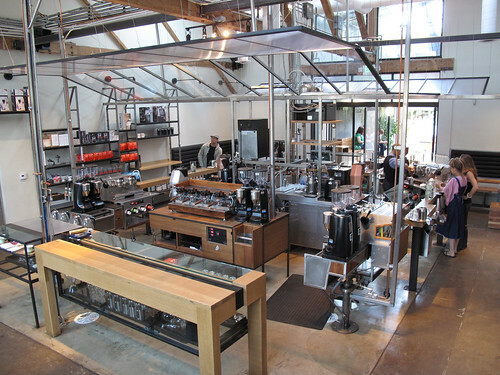 After passing through the iron gates facing the bustling boulevard, visitors walk down an ivy-covered hall open to the sky where they are greeted at a butcher block “concierge desk.” From this point, they are taken to one of four custom-fabricated espresso machines where their espresso drink or coffee-by-the-cup is prepared. 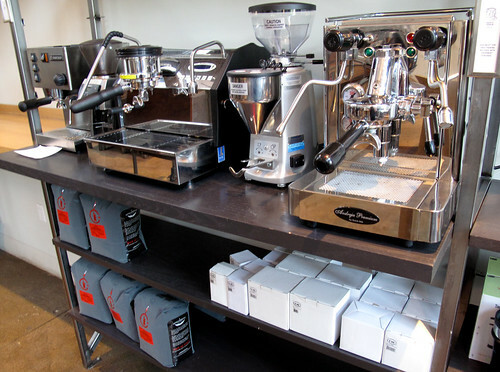 The idea is for a barista to stay with one person throughout the interaction to create an individualized experience for every customer, regardless of how many are being served. 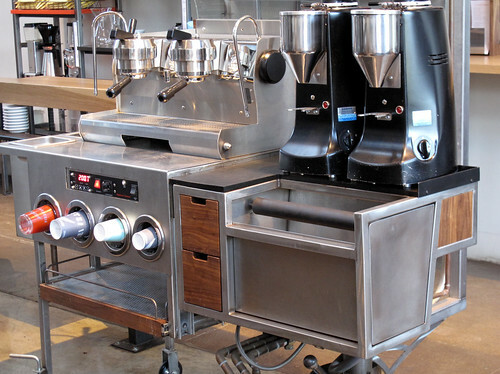 In the back of the cafe they have restored 1972 La Marzocco from the original Starbucks that they fire up on special occasions. 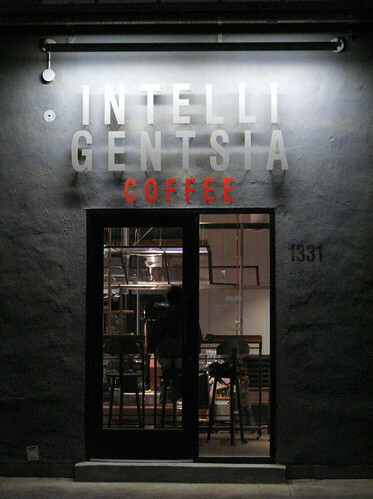 Special thanks to fellow coffee fanatic Sean Bonner for turning me on to Intelligentsia Venice, which became part of my daily ritual while I visting LA.